A beautiful smile under construction. 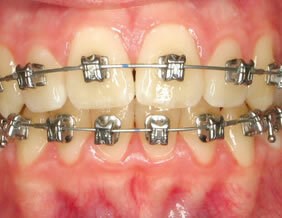 Oral hygiene is always very important, but it becomes even more so when you wear braces. The teeth become more difficult to keep clean and are at a greater risk of gingivitis (inflammation of the gums) and white decalcification spots. White spots are irreversible so it is important to prevent them from ever forming. At every appointment, oral hygiene will be monitored and scored 1 (poor) through 5 (excellent). Excellent oral hygiene may qualify you for entry into contests. Previous winners have been rewarded Amazon gift cards, Kindles, iPods and more! If oral hygiene is a 1 or 2, you will be placed on a 1 week recall at our office until improvement is seen. If oral hygiene does not improve, appliances may be removed early to prevent damage to the teeth and gums. 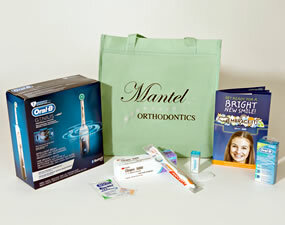 Top of the line products for all patients, to keep you smile healthy and bright. Brush at least 3 times per day after meals. The most important time to brush is before bed. 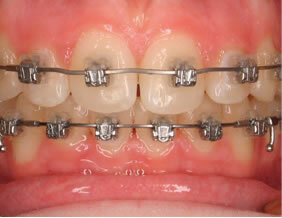 Sealants have been placed on your teeth where your braces are. Use a pea sized drop of ClinPro 5000 toothpast (instead of your regular paste) before bed. It contains higher levels of fluoride and calcium phosphate that penetrate your sealants and help prevent caries and decalcification. Under 16: spit and rinse. Over 16: spit and don’t rinse. This is a prescription paste. Refill at our office or ask for a refill script to use at your pharmacy. Mouthwash is helpful after brushing. Do not use after using ClinPro. High fluoride rinses (ACT) are useful in preventing problems. If mouth burning is a problem, choose a rinse that does not contain alcohol (Crest ProHealth). Because there is more to clean, brush for 4 minutes each time. Initially use a timer to determine how long this is. Brush both the teeth and gums. 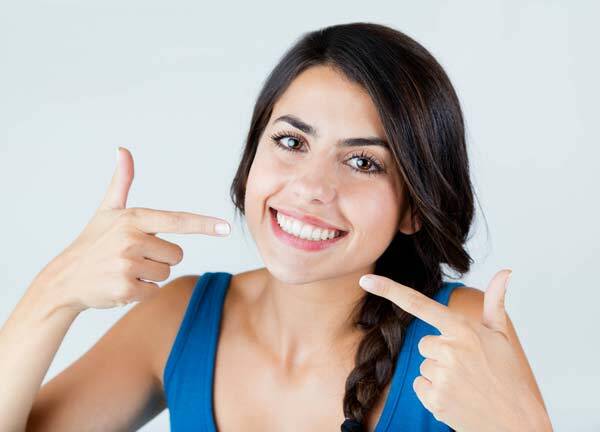 Floss between the teeth with a floss threader at least 1 time per day, often before bed is best. Electric toothbrushes and Waterpiks are useful tools. Studies have shown electric toothbrushes clean better than manual brushes. The Oral-B Genius brush is sold at a discount at our clinic to encourage use. If white spots are becoming a problem, MI paste may be recommended for treatment. Remember to maintain your 6 month recall appointments at your dentist for regular checkups and cleanings. Cleanings are not done at this office. If oral hygiene is a problem, a more frequent recall may be recommended. As long as you are careful, you can continue to enjoy most of your favorite foods. We often say, “If it’s healthy, you can probably eat it!” However, there are some that may damage appliances or put you at a higher risk of cavities. If you have any questions about what is best to avoid, please ask us. May bend or break wires, break brackets or bands loose. Examples: Ice, corn on the cob, popcorn, toffee. Popcorn can leave hulls under appliances that can cause infection; try “puff” versions of popcorn. 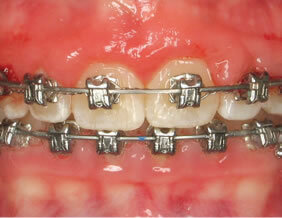 May bend or break wires, break brackets and make bands loose. Examples: Gum, gummy bears, caramels. Cavities are caused by prolonged exposure to acids which are either directly consumed (Mountain Dew!) or made by bacteria from sugar. Limit sweet and acidic foods and when they are eaten, rinse your mouth with water or brush your teeth directly after. 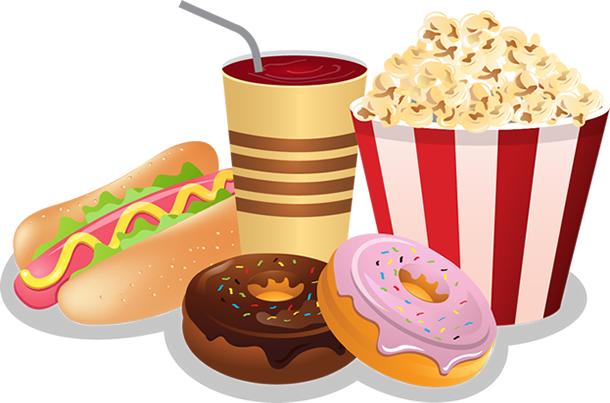 Examples: Soda, fruit juices, any candies or carbohydrates that stick to the grooves of your teeth such as potato chips. Replace using the kit given to you or call the office to schedule it to be replaced. If it falls out less than 24 priors to appliance insert, no action is necessary. 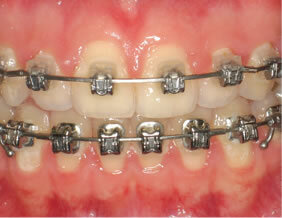 Save the bracket and call the office to schedule an appointment during regular hours to have it replaced. The sooner it is rebonded, the less likely a setback in treatment. Bring the bracket to the appointment. Call the office to have it turned more in the back or trimmed shorter. In the mean time, place wax where it is poking to avoid tissue trauma. A rubber tie comes off? If a colored (or clear) tie comes off, call the office to have it replaced on that bracket. 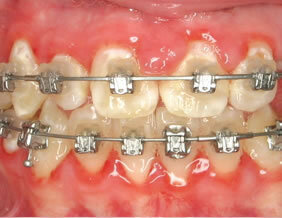 If it is off for a long time, the tooth may shift after from the wire and prolong treatment time. Call the office to have it replaced. Space may open between the teeth where it has broken. 1. Loose large appliance that is hanging down and preventing eating and function. 3. Pain that is unexplained or not controlled with over the counter pain medicines. Dr. Mantel or an assistant will return your call promptly. Major emergencies will be seen after hours or on the weekend as needed at no extra charge to you.